We all know that mental toughness and emotional resolve are critical skill sets in competition. The Soft Science of Tennis is specially designed to improve the seemingly mysterious software skills. With this groundbreaking book, the athlete will realize an exceptional culture, stronger communication techniques, and a deeper connection. The Soft Science of Tennis helps players, parents, and coaches to identify individual personality profiles and unique cerebral designs to assist them in understanding how the athlete’s inborn genetic predispositions affect their behavior on and off the court. Also included is the importance of positive character traits, life skills, and why a healthy moral compass matters. The Soft Science of Tennis dissects how to conquer essential performance anxieties such as overriding negative belief systems, eliminating internal judgment, and building coachable athletes. Rounding out this book, are several chapters, favored by high IQ coaches around the world, uniquely focused on how to change fixed mindsets, managing fear, and risk, and developing confidence and self-esteem. 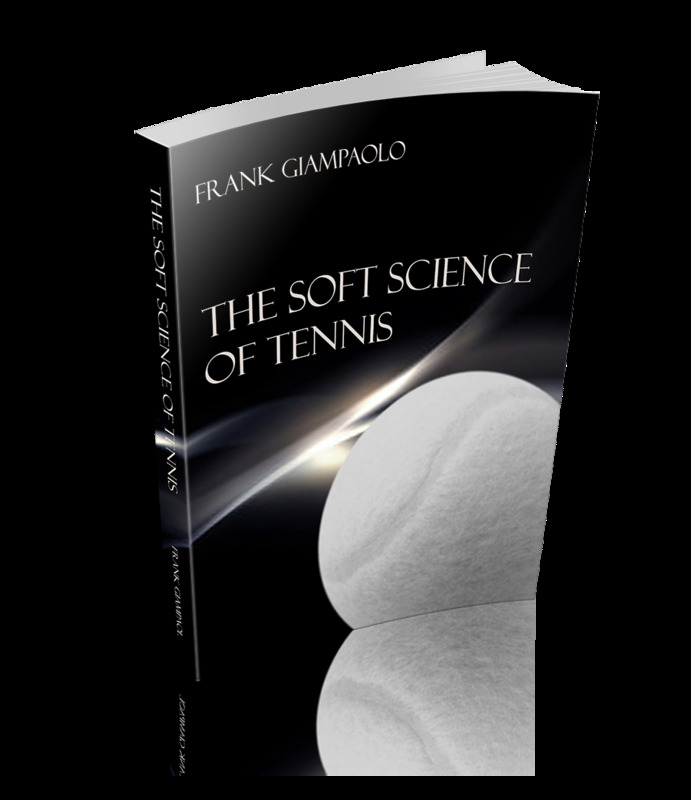 Within these pages, it is my goal to share everything you didn’t even know...you needed to know about the soft science of tennis. Adam interviews Frank about his newest bestselling book The Soft Science of Tennis. Frank discusses the importance of developing strong emotional skill sets for improved success both on-court and off-court. Frank is the bestselling author of Championship Tennis (Human Kinetics Publishing), Raising Athletic Royalty, The Tennis Parent’s Bible (volume I & II), Emotional Aptitude In Sports, and The Mental Emotional Workbook Series (How to Attract a College Scholarship, International Player Evaluation, Match Chart Collection, Match Day Preparation and Blunders and Cures). His television appearances include The NBC Today Show, OCN-World Team Tennis, Fox Sports, Tennis Canada and Tennis Australia. Frank founded The Tennis Parents Workshops in 1998, conducting workshops across the United States, Mexico, Israel, New Zealand, Australia, England, Canada and Spain. Frank’s commitment to coaching excellence helped develop approximately 100 National Champions, hundreds of NCAA athletes, numerous NCAA All-Americans and several professional athletes. His innovative approach has made him a worldwide leader in athletic-parental education. Frank is currently the Vice Chair of the USTA/SCTA Coaches Commission.